Situated just outside of Greenville city limits homeowners can enjoy a relaxed lifestyle surrounded by both rural charm and modern conveniences. 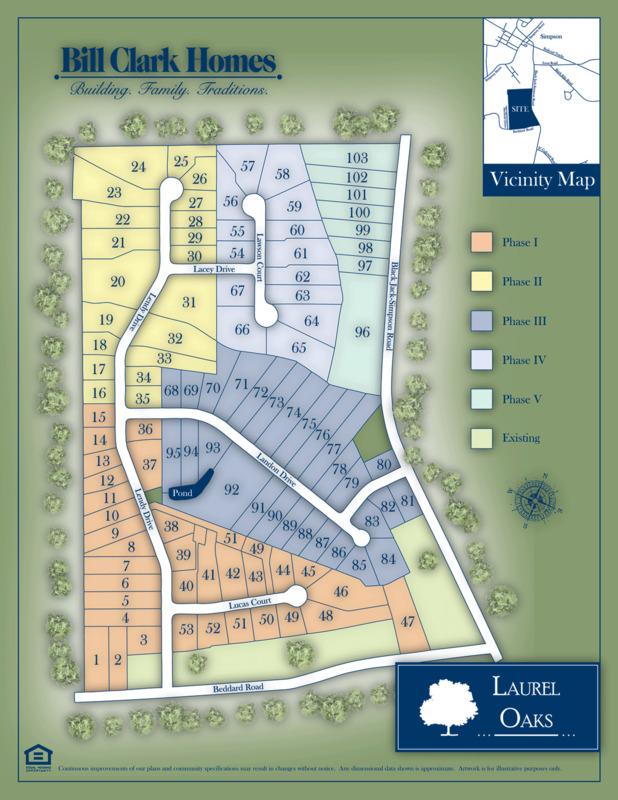 The Laurel Oaks Community offers residents the valuable opportunity to have it all - a convenient location, a connection with nature, D.H. Conley school district, and a wide choice of social and cultural events close to home. With newly designed, contemporary single-family homes with single-story and two-story designs available, flexible spaces and open-concept floor plans for modern living ranging from 1,549-3,500 square feet with prices starting in the low $180’s. These beautiful homes include granite countertops, birch cabinets, stainless steel appliances, large lots and more! Directions: From Greenville take HWY 33 to BlackJack-Simpson Road through Simpson, approx. 1/4 mile turn right on Beddard Road and the Community will be immediately on the Right.